This affordable unique mailer gets attention. It offers the privacy of an envelope with the impact of a postcard. Use the envelope shape to add more interactivity. The flap needs to be opened – the longer a consumer holds your mailer, the more interest is created! Give your customers something different. Make your mailer interactive. It’s not an envelope – you can feel the difference. These mailers are printed on heavy cardstock to give your message a quality feel. 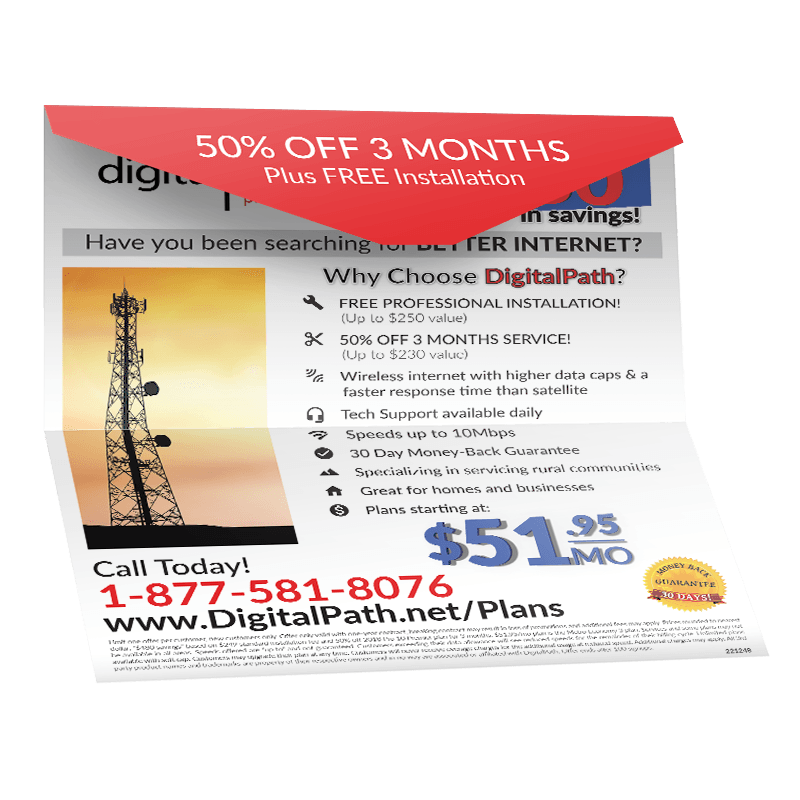 This Envelope Self-Mailer format is great for short run or high-volume mailings. It can be produced in letter size database formats or saturation EDDM sizes. Add tracking to your results; put a unique coupon code on every offer card. When someone redeems these offer cards, scan the card for access to the data of the person that used them. Create or add customers to your database for later strategic marketing. It is 10X easier to keep a current customer than acquire a new one1. The possibilities are endless. The Postage is the same – but Ross4Marketing’s Unique Mail Products are better. Call Ross4Marketing – your unique B2C Print, Mail, POP and Fulfillment marketing services provider. From planning to completion, Ross’ All Under One Roof execution gets projects done. Questions? Which Products and Services are you interested in? All Inclusive pricing includes: Print, EDDM mail prep, Freight and Postage. Ready to plan your campaign? Need to ask questions or want a Sample Packet? Yes! I'd like new product and program information from Ross4Marketing. Send me a sample pack of Ross EDDM Products.